A South Korean activist said he will air-drop copies of Sony's "The Interview" as a way to undermine North Korean dictator Kim Jong Un. 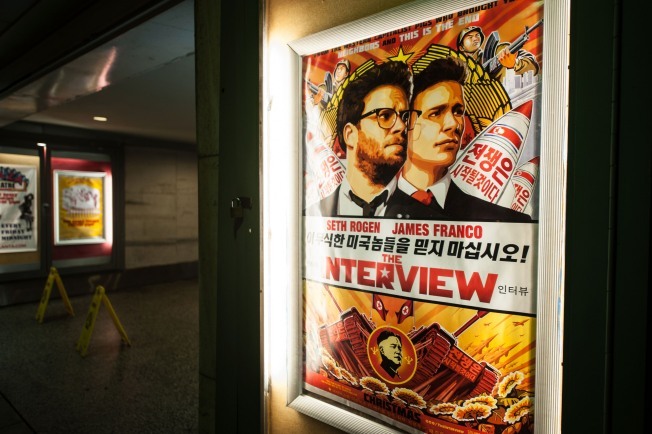 The film, starring Seth Rogen and James Franco, is about a botched assassination attempt on the North Korean dictator, and Park Sang-hak said it would be an excellent way to break down the idolization of Kim Jong Un, the Associated Press reported. The offensive comedy is supposedly the reason why Sony Entertainment was allegedly hacked by North Koreans, according to the FBI. Park, a North Korean defector, will use balloons to drop 100,000 DVDs and USBs of the film into North Korea next month. The U.S.-based nonprofit Human Rights Foundation will be providing the DVDs and USB memory sticks with the Korean-subtitled film. "North Korea's absolute leadership will crumble if the idolization of leader Kim breaks down," Park told the Associated Press. The move is expected to enrage North Korea and possibly educate North Koreans indoctrinated by pro-Kim Jong Un propaganda. However, not many citizens own DVD players or computers, and they also risk imprisonment if caught possessing contraband. Still, we can't help wondering if North Koreans will be "educated" by the raunchy comedy or disgusted with the decadent West's depiction of life and bathroom humor.